Chatsworth House in Derbyshire sits resplendently within its grounds of meadows and rolling dales, spanning almost half a millennium of history. Depicted by Jane Austen as Mr Darby’s abode, it is actually the home of the Duke and Duchess of Devonshire (you might think they’d live nearer to their fiefdom, but a title is just that- a title). 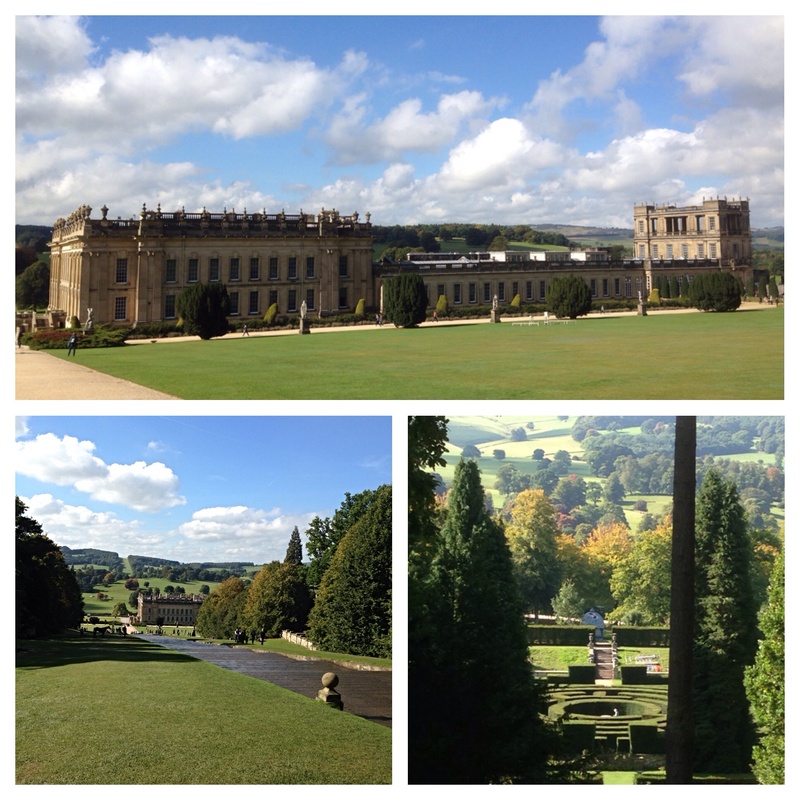 With its ornamental gardens, a maze and a spectacular rockery, Chatsworth is a magnet for day trippers. 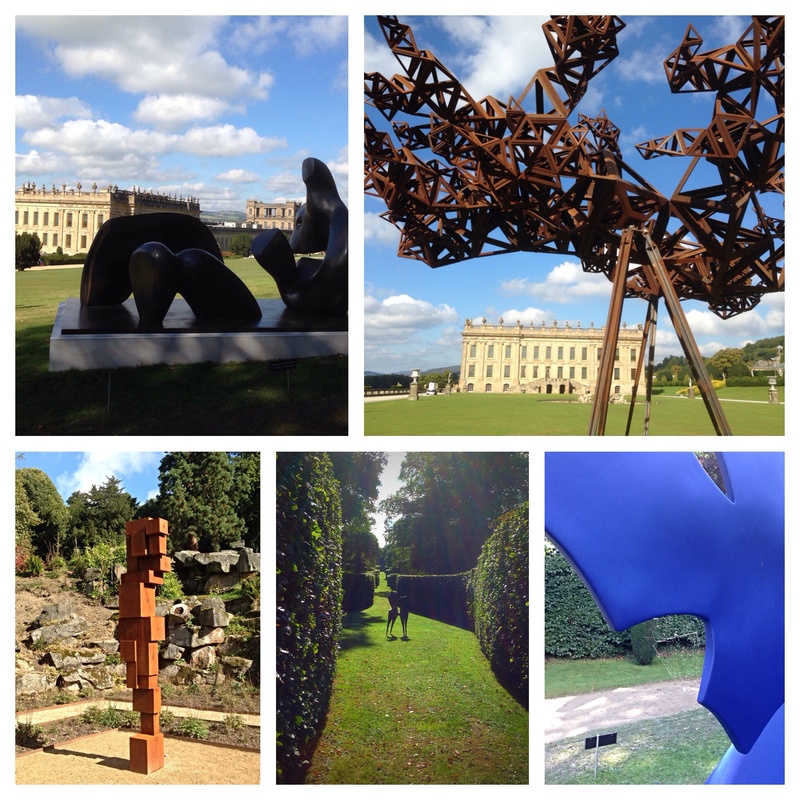 Even more so with the exhibition Beyond Limits celebrating the landscape of modern British Sculpture. Beautifully curated with the sculptures adorning the gardens, a stroll through park and woodland reveals a Barbara Hepworth here or a Damien Hirst there, nestled amongst the rose bushes and rocks or commanding the lake and lawn. Pictured in the top row are Moore’s Three Piece Reclining Figure and Conrad Shawcross’ angular but reassuring The Dappled Light of the Sun. Below, Antony Gormley’s Big Gauge II is brilliantly juxtaposed with the rockery and Lynn Chadwick’s dancing figures frolic down a romantic lane. Meanwhile Gengis Khan by Phillip King is further enhanced by nature. 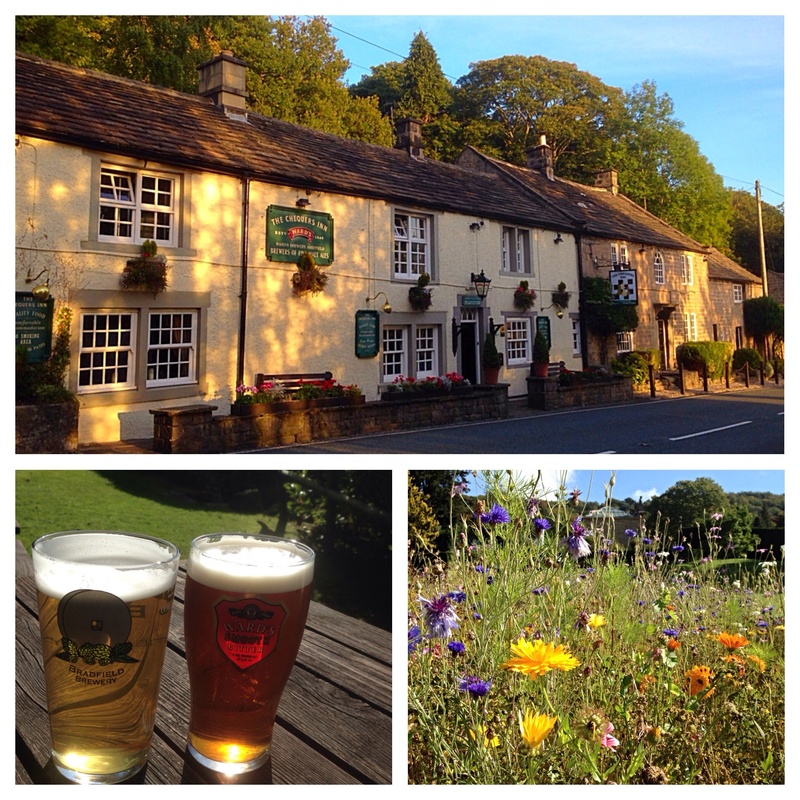 Art appreciation and walking make for a healthy thirst, so what better way to round off the afternoon than in the beer garden of the Chequers Inn in the nearby village of Froggatt? See also Art for art’s sake.